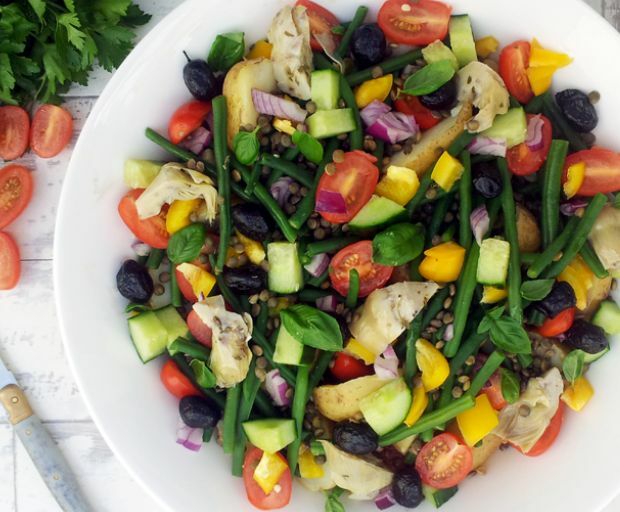 Enjoy a light and healthy salad this summer by experimenting with some of your favourite seasonal fruits and vegetables. We have compiled just a few tasty recipes below which are sure to be the hit at the next dinner party! 1. Pour the couscous over 300ml of boiling water. Cover the bowl then let it stand for 5 minutes for the grains to fluff up. 2. Dice the peppers, tomato and mint, then whisk through the honey and lemon dressing. 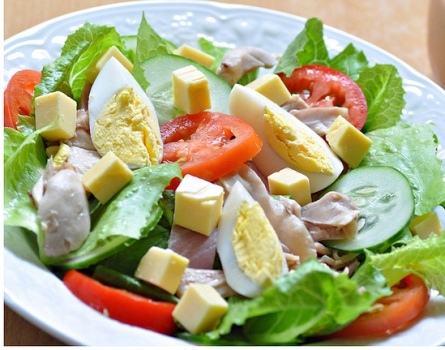 Ingredients: 1/2 lettuce, 1/2 cucumber, 1 tomato, 1 stick celery, 1 hard-boiled egg, 1 cooked chicken breast, 50g ham, 1 teaspoon Dijon mustard, juice of 1 lemon, 2 tablespoons olive oil, salt and pepper to season. 1. 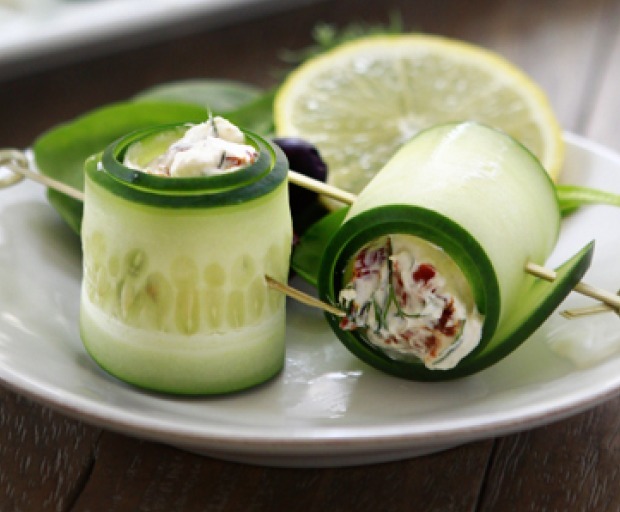 Line each bowl with lettuce leaves, and top off with celery, tomato and cucumber. 2. Add half of a hard-boiled egg to each dish, and divide the ham, cheese and chicken strips as well. 3. For the dressing, combine the Dijon mustard, 1 teaspoon of honey, lemon and olive oil into a jar and shake. Pour it over the salad and season with salt and pepper. 1. Peel and boil the potatoes until soft and tender. Drain well, then dice into quarters. 2. 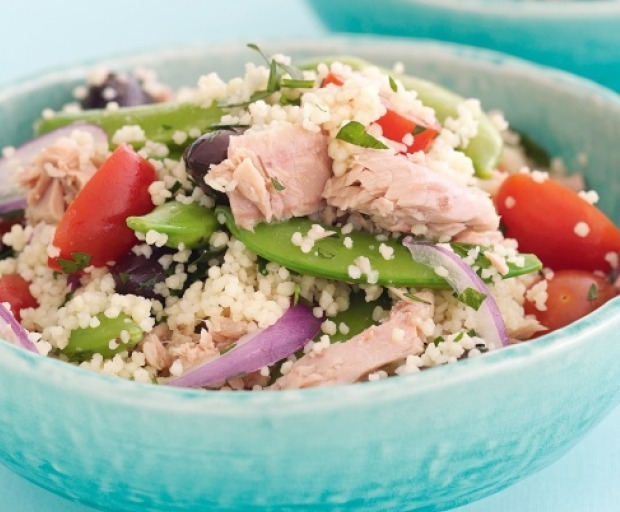 Arrange the lettuce on the bottom of each bowl, then add the tuna, tomatoes, potatoes and olives. Garnish with olive oil and cracked black pepper. Red chilli flakes also add a kick of flavour to this traditional dish. Tired of wasting all of your money on food and drinks? So are we! Prepare your own healthy meals at home to save some extra cash, plus you will know exactly what’s included in your food. 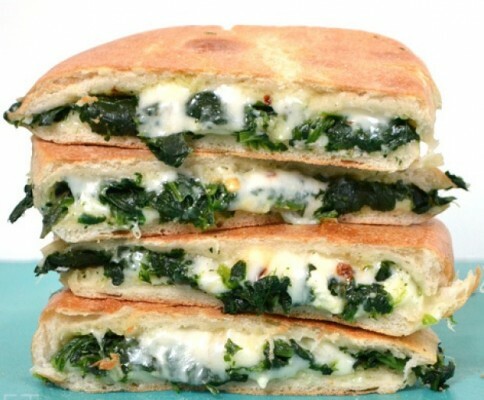 We have tracked down five easy lunch ideas under $5 for those who don’t mind being a bit thrifty. Ingredients: 2 rashes bacon, 2 slices wholemeal bread, Iceberg lettuce, 1/2 ripened tomato, 1 teaspoon mayonnaise or tomato sauce. 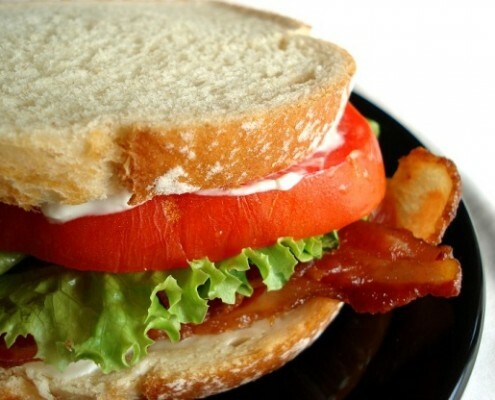 Who can resist a classic BLT Sandwich, yum! We love them so much that we even provided a recipe on SHESAID, but this one is even better (and will save you some extra money as well). Use chicken mince instead to save a little extra money (plus, it’s so quick and easy to cook – even for beginners in the kitchen). Season with chilli flakes, then transfer into a bed of lettuce. 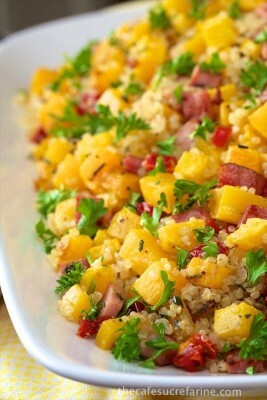 A delicious couscous salad is perfect if you’re watching your weight, but still want to feel satisfied after your meal. 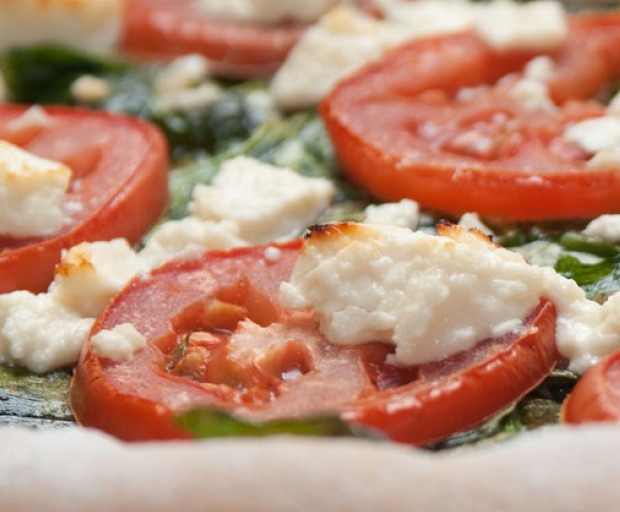 Enjoy with crunchy red grapes and crumbled feta cheese over the top for extra flavour. Replace the grapes with cherry tomatoes or olives if they’re not your thing. 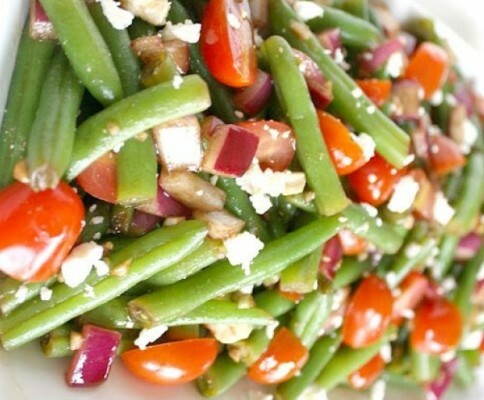 Try this light spring/summer take on a traditional salad for a healthy lunch or dinner meal. 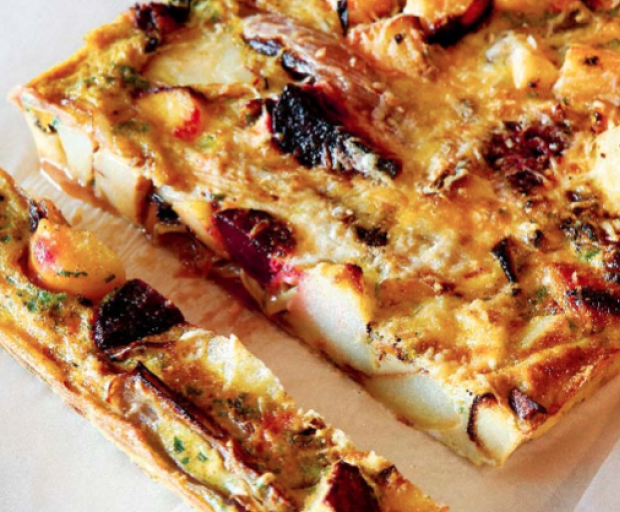 Perfect for those who are vegetarian, make sure to add some of your favourite seasonal vegetables into the mix. 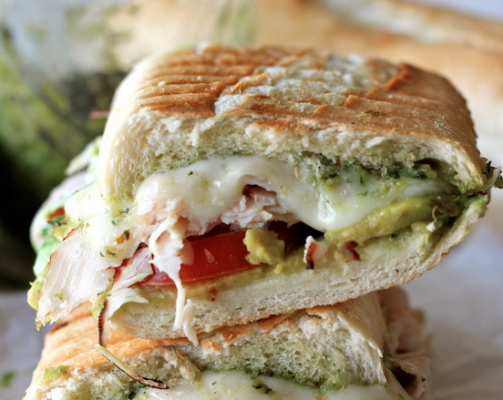 Make use of that panini and leftover turkey for this yummy snack for lunch time. 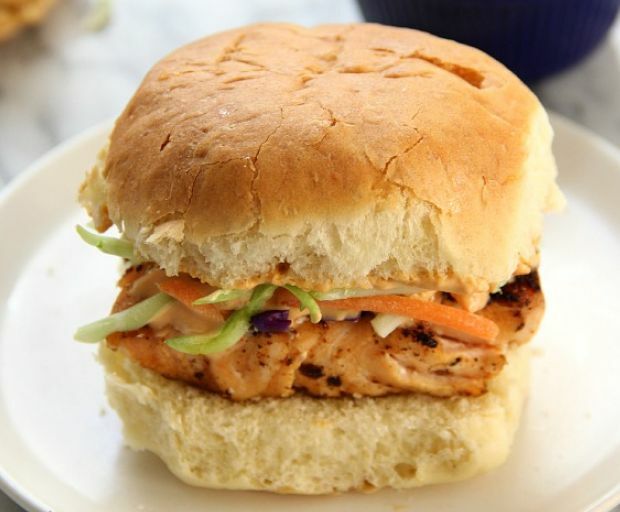 Place all of the ingredients into a lunch press and cook for 2-3 minutes until golden brown. Include this healthy wholegrain, superfood into your weekly diet to benefit from the large volumes of calcium, vitamin E, and did we mention that it’s also gluten-free? 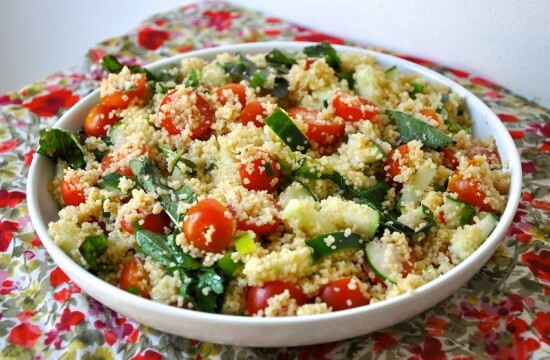 Even though quinoa is so healthy, it doesn’t necessarily mean that is tastes bad. If you want to start cooking with quinoa, pair it with these tasty dishes which are nothing to be feared. 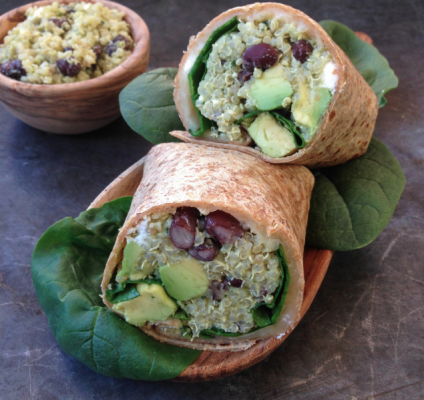 Use one cup of dry quinoa with boiled black beans, feta cheese, and avocado for a quick snack which is perfect if you’re on-the-go. The meal is filling enough for dinner or lunch, and is best stored in an air-tight container for freshness. 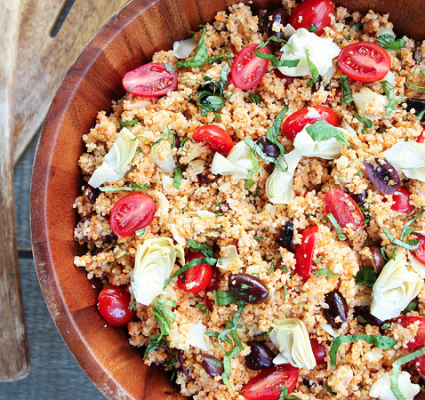 Quinoa can be used in lieu of rice or couscous, without the extra fatty feeling on your hips. 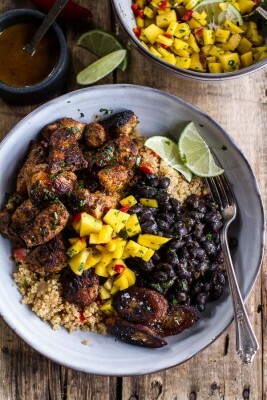 This particular meal uses spicy charcoal chicken breast, fresh vegetables and fluffy quinoa – yum! 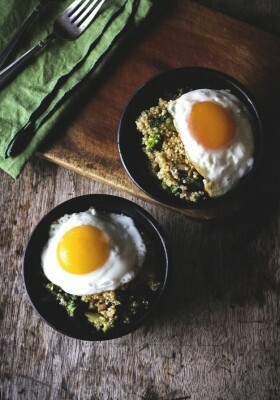 Treat yourself to a luxurious Sunday brunch made with spinach, fried eggs, broccoli and fluffy quinoa. It’s the perfect alternative to a standard porridge dish. 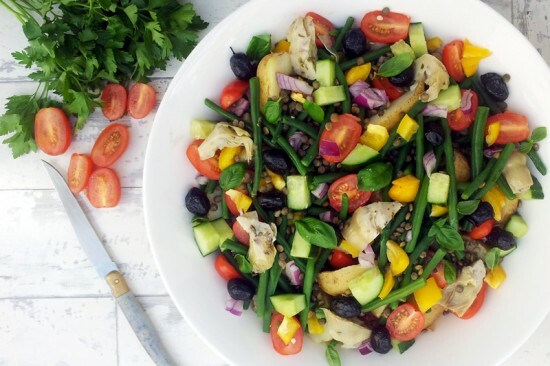 If you’re giving your body a bit of a carbohydrate detox, then a salad is always a great option. This beauty combines roasted squash, quinoa, capsicum and coriander for an aromatic dish which works well as tomorrows leftovers. Indulge in delicious breakfast bars with all of your favourites including chocolate chips, fruits, muesli and healthy quinoa. 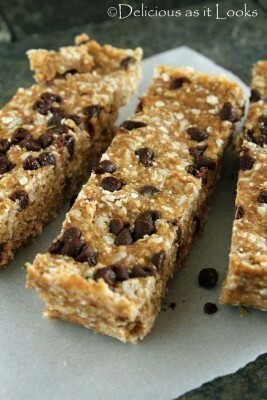 Prepare the bars the night before, and store them in the fridge for that fresh crunch. There is no denying the fact that leftovers aren’t always the most glamourous of meals. But they sure save some time after a long day of work! Although, does anyone else agree that some meals just taste better the next day? Below are just a few quick and easy meals to warm-up and enjoy if you don’t have much time on your side. Not only do the flavoursome ingredients of a yummy red curry marinate overnight, but they actually taste so much better! 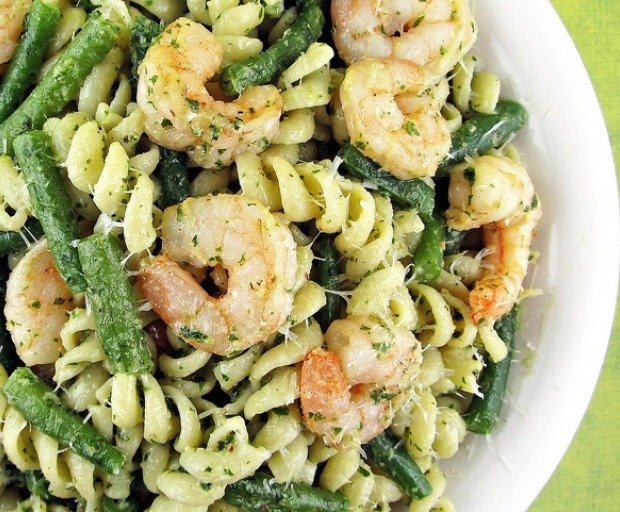 Warm them up over a hot stove, and serve with fresh rice and a glass of dry white wine. 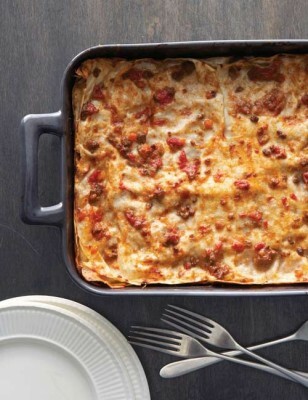 Any type of lasagne tastes good on the second day, and there is no denying that fact! Serve with a side of fresh vegetables and you have a winning lunch or dinner meal. 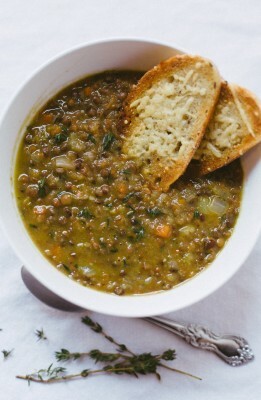 If you aren’t a fan of piping hot lentils, then enjoying them for leftovers is the second best option. The lentils themselves actually double in size, and the consistency of the entire soup is deliciously thick and filling. Fry them, bake them, or simply pop them in the microwave for 2 minutes – meatballs taste good any way you choose to prepare them! 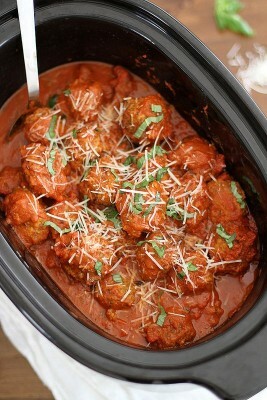 Especially if they were baked in a tomato and garlic sauce which tastes amazing the next day. However, you might need some gum to cover up the garlic afterwards..
Casseroles take no less than 5 minutes to prepare for lunch the next evening, and they taste exactly the same as they did the previous day. The past filling is especially warm and fluffy, which is perfect for those cold winter days! 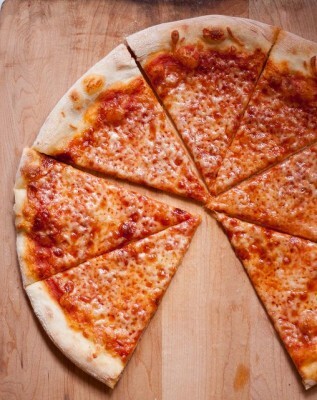 There’s just one food that taste good all the time, and that has to be pizza. If you’re warming in up the next morning, don’t waste your time with the oven or microwave which can turn it into a soggy mess. Simply lay it flat or an empty frying pan, and cook for 5 minutes. 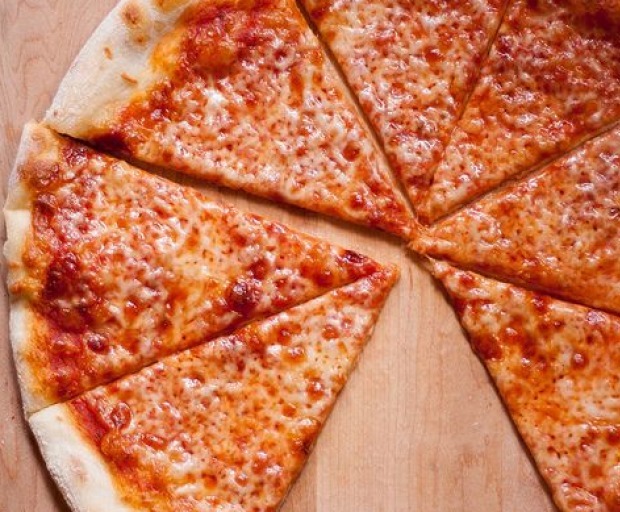 This way, you have a deliciously crunch pizza snack. What are some of your favourite leftovers? A healthy frittata dinner makes for delicious leftovers for lunch or even dinner the next day, since it can be served warm or cold. Our favourite dish combines wholemeal pasta with delicious Parmesan cheese, and a handful of spinach for extra texture and flavour. This recipe will take about 20 minutes to prepare, and serves up to four people. Cook the pasta until al dente. Then remove and set aside to cool down. 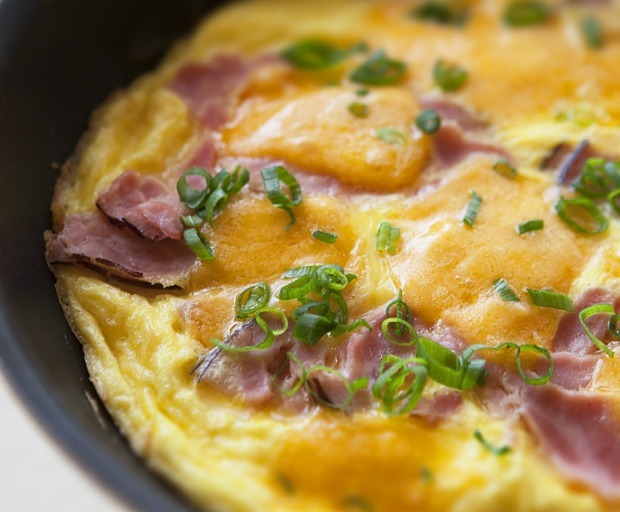 Whisk the eggs until they are of a smooth consistency. Then add the Parmesan cheese, ham, and parsley. Feel free to also season with salt and pepper to your liking. 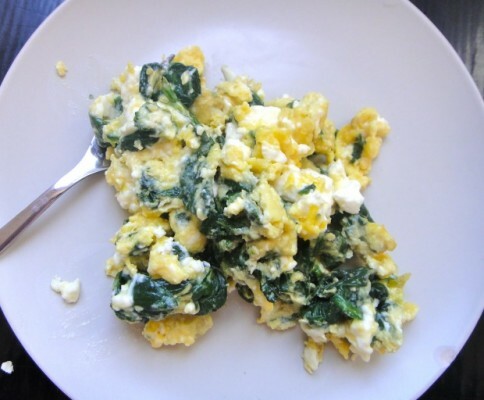 Combine the pasta and egg mixture, then transfer into a pan and cook for 20 minutes. Green beans are an excellent source of dietary fibre, and can be cooked in a variety of different ways. 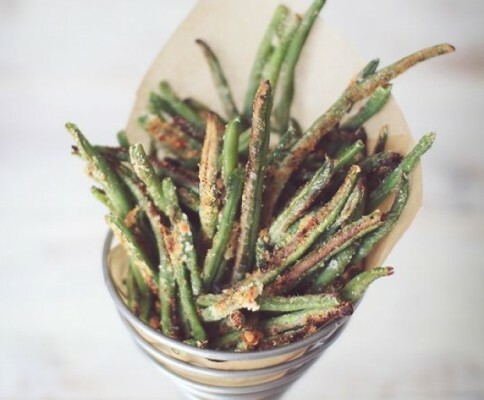 Keep a pack of frozen green beans in your fridge for a quick stir-fry, or even add into your favourite soup for a boost of Vitamin A, B, and an excellent source of Folate. 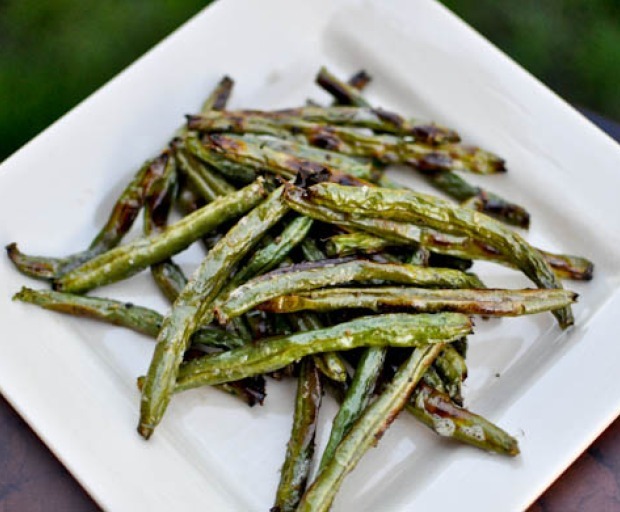 Below are just a few different ways to steam, bake, puree, or boil green beans for a tasty meal at any time of the day. Whip-up a delicious summer salad with cherry tomatoes, a splash of balsamic vinegar, and white feta for a fresh taste. Boil the green beans under they are tender, then strain and finely chop some delicious cucumber over the top. While this option may not be the healthiest alternative, it’s definitely one to try out! Try a fresh Parmesan cheese if you love it’s distinct taste, and sprinkle with some sea-salt for extra Mediterranean taste. 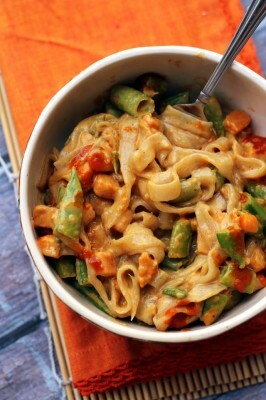 Why not add a few chopped string beans into your pasta for taste and texture. Lightly boil the beans so they still hold some of their signature crunch. Hold back on the calories and serve some green beans for a healthy alternative to traditional potato chips. 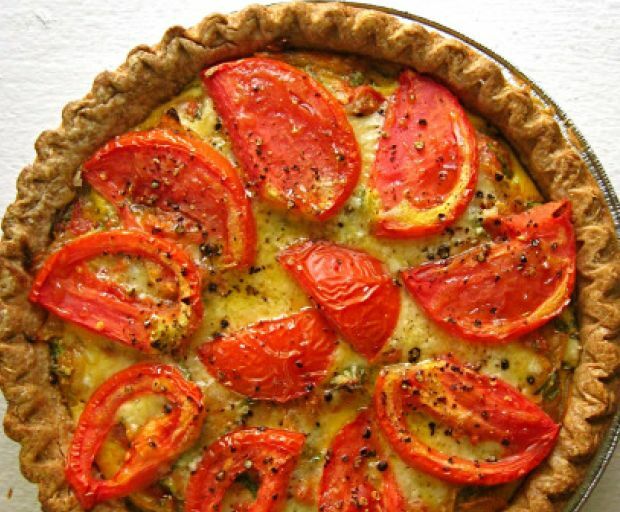 Bake with 2 tablespoons of olive oil, and lightly simmer until they are golden brown in colour. Who isn’t guilty of indulging in a few baked fries every now and then? 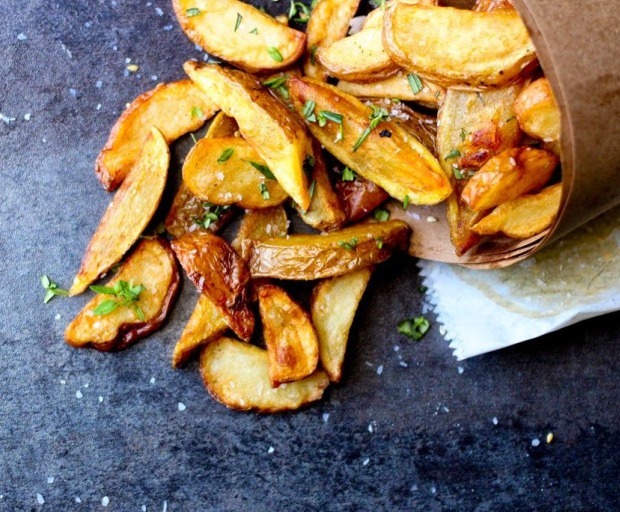 Not only are these delicious healthy herbed bistro fries easy to make, but they are baked to save you from the extra calories! Sprinkle some of your favourite chopped herbs over the top for a delicious seasoning that the entire family won’t be able to resist. Place the chopped potato wedges into a large bowl of ice water, this will make it easier to remove all the starch and allow the potatoes to have a crispy texture. Scoop them out with a ladle, then transfer them directly over to a tray lined with baking paper. Season with olive oil, rosemary, and thyme before baking in the oven for 20-25 minutes or until golden brown. Season with salt for a tasty treat. Do you find it difficult to stick to a healthy eating plan when you’re constantly on-the-go, or out of the house? Pack a delicious mason jar salad the next time you’re going on a picnic, long-car trip or even as a healthy lunch idea for the office. The best part about this is that you can completely customise the meal to your liking, and even add some delicious fruits to make the salad that much sweeter! To get the most out of your salad, there is a specific layering method which keeps the lettuce crisp, the avocado fresh, and even the entire meal from getting soggy. 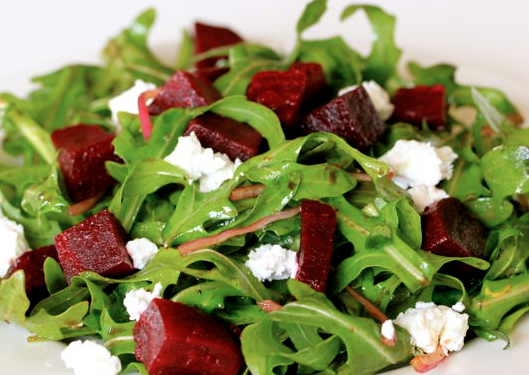 You can use any type of dressing such as vinaigrette, creamy ranch, red-wine vinegar and so on. Use between 2-3 tablespoons of the dressing and drop it into the bottom of the empty mason jar. Use vegetables that won’t let the lettuce from getting soggy from the rest of the vinaigrette. You could use vegetables such as tomatoes, red onion, broccoli, celery and carrots to block the shield. This layer basically is just a second defense – just in case any of the dressing seeps out. Vegetables such as mushrooms, green bans, sprouts and even zucchini are a great way to block the dressing from the rest of the salad. 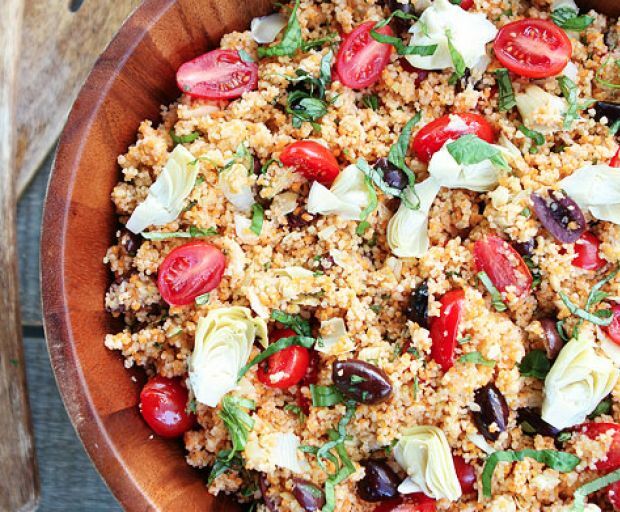 Use your favourite pasta, couscous, quinoa, and rice to fill this layer. Don’t worry about the dressing making it soggy, it should be well-protected at this point! 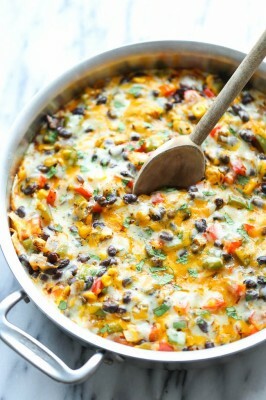 This layer should be somewhat close to the top, so it’s best to fill it with cheese, chicken, tina and seafood. Pat it down firmly to make sure the lettuce fits at the top. Now you can fill the rest of the jar with lettuce, seeds, nuts and anything else that would normally get soggy from the rest of the salad. Close the jar tightly to keep it fresh throughout the day. Do something good for your body by creating this delicious cucumber and lettuce vichyssoise, which is a light spring/summer soup. Add a cup of spinach leaves for a deep-green version for an extra hit of flavour, and make sure to enjoy with a healthy summer juice! Melt the butter over medium-low heat and add the leeks or onion before softening for 10 minutes. Include the potato and stock, and bring to a slow boil then simmer for 10 minutes (or until the potato is mostly cooked). Add the cucumbers and shredded lettuce, then simmer and boil for 3-5 minutes. Remove the potato chunks, then run them through a sieve. Purée everything else in a blender, then add the remaining potatoes into the mixture – it should be of a creamy consistency. Stir in the double cream and season with sea salt and black pepper. Leave the mixture to cool completely, then pop it into the fridge to chill. For the croutons, heat the olive oil over medium-high heat and fry the bread until golden-brown. Serve the soup with chopped chives and a touch of cream over the top. 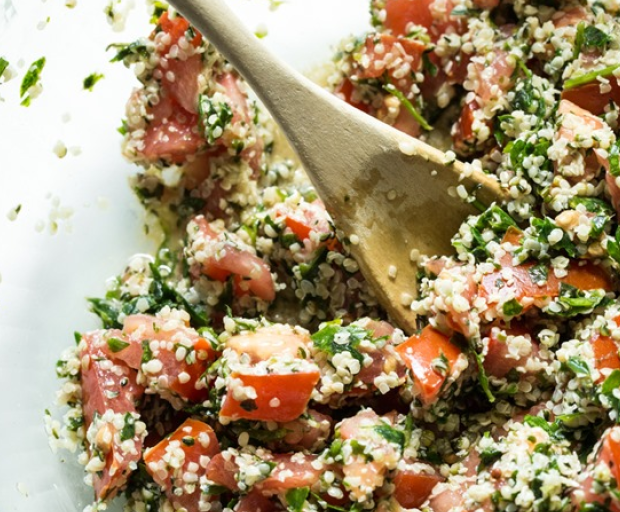 If you haven’t tried tabouli before, this is the perfect homemade recipe which is quick and easy to prepare for a lunch or dinner snack. 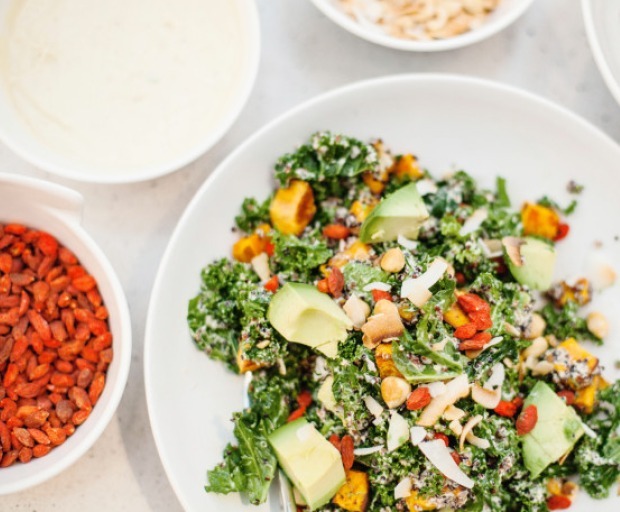 This high protein dish is delicious when served raw, and is perfect for those who are vegan, gluten free, nut-free and refined-sugar free- so there are absolutely no excuses why you shouldn’t try this for yourself! Combine the parsley, mint and sea salt into a food processor with an ‘s’ blade until finely minced. Empty the herbs and salt into a large mixing bowl before adding the tomatoes, hemp seeds, hemp oil (olive oil) and lemon juice. Mix well, then serve immediately or pop into the fridge for a refreshing lunch meal. Are you in need of some quick and fresh lunch ideas for work? Vegan meals are often easy to prepare since many foods such as fruit, vegetables and soups are served cold or even raw. If you want an appetising vegan lunch meal, read-up on our recipes to constantly keep you inspired. This wonderful meal is packed with essential vitamins and minerals which will keep your tummy feeling full and satisfied throughout the day. 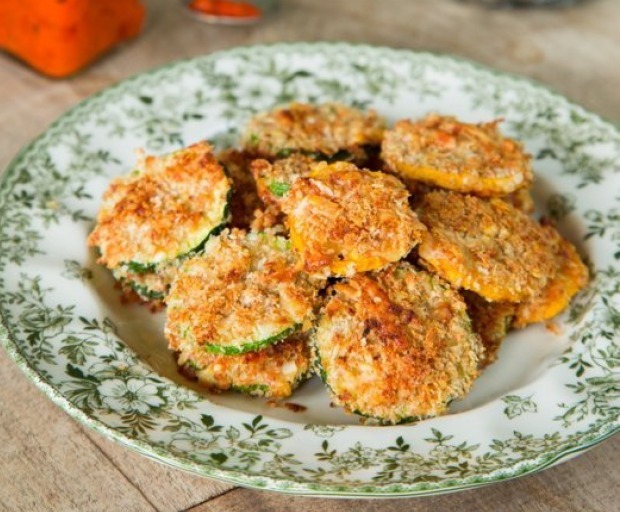 Serve with a side of your favourite raw vegetables for flavour, texture and extra crunch! Who can pass-up a ripe avocado? Slice the avocado over some superpower chia bread for a boost of texture and taste, minus the extra calories. Sprinkle a touch of pepper and paprika over the top for flavour. 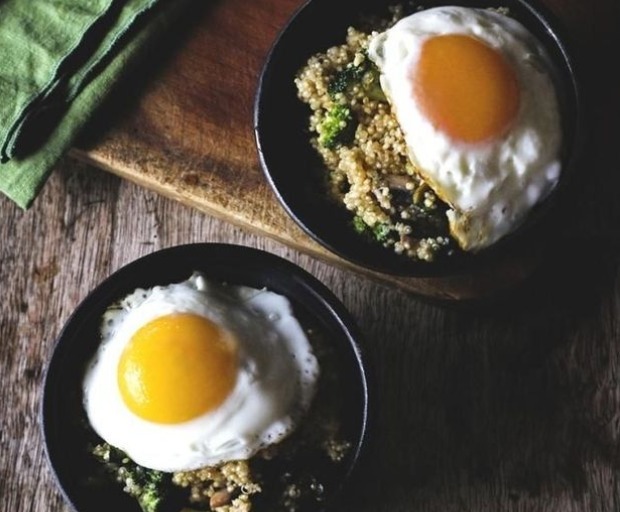 Quinoa is a great meal for breakfast, lunch or dinner since it is healthy and won’t cause bloating (regardless of how sensitive your stomach might feel). Prepare with a side of black beans, tomatoes, rocket, carrot, olives and parsley for an action packed meal. 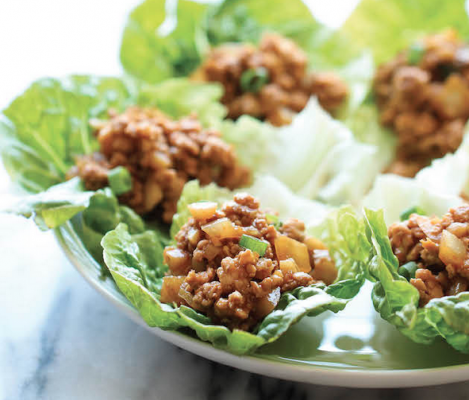 This delicious recipe is perfect for vegans, coeliacs and even sugar-free individuals. What makes this chilli so satisfying is the subtle hint of jalapeño, texture of kidney beans and classic hot sauce. 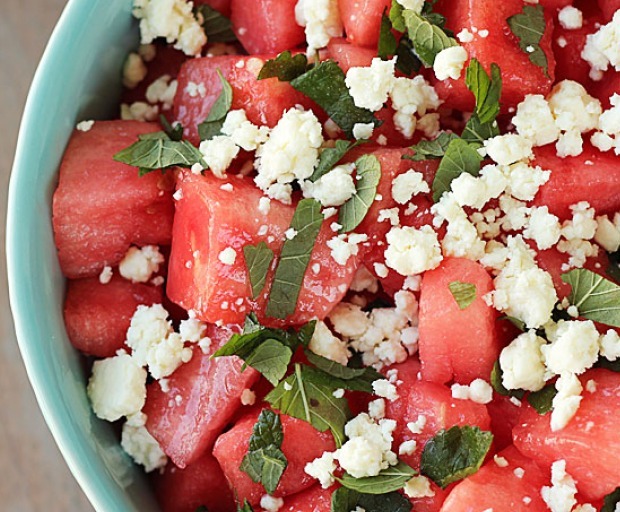 Tired of having the same old, plain salad? Spice it up by trying out this grilled peach and burrata recipe, which is simple and easy to recreate. If peach isn’t in season, feel free to use another sweet fruit, which will also work just as well. Onto the recipe! Prepare the caramelised onions by first heating the olive-oil over low heat. Spread them carefully in a single layer across the pan, and let them cook slowly for 20-30 minutes. When onions are brown, add a touch of the balsamic vinegar and cook for just a few more minutes. Then set aside. For the glaze, combine the balsamic vinegar and brown sugar into a saucepan over medium heat. As the mixture starts to simmer, turn down to a low heat and cook for 10 minutes before setting aside to cool down. Brush the peaches with olive oil, then heat up a pan over medium heat and sizzle until they are brown. This should only take a few minutes, then set aside. 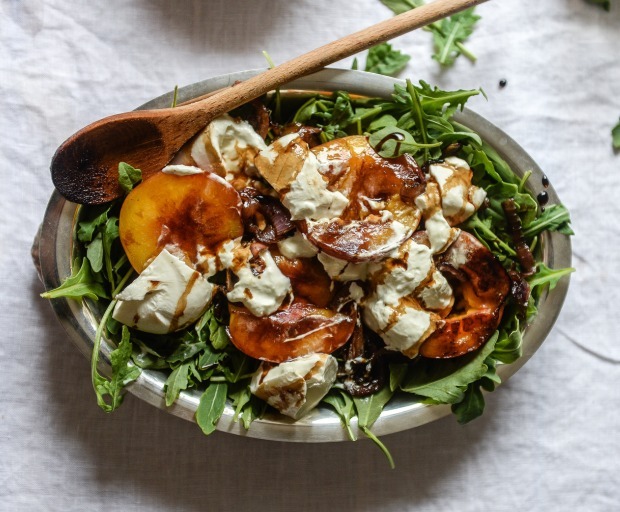 Layer the argula, peaches and caramelised onions to create the salad. Then slice the burrata into small pieces before adding the balsamic glaze.